Wild Blueberries are one of North America’s oldest native berries, and have thrived under the harsh growing conditions of Northern New England, Eastern Canada and Quebec for over 10,000 years. Hardy, rugged Wild Blueberries flourish in the thin glacial soils and northern climate of Maine and Canada thanks to their high concentration of the flavonoid anthocyanin, a phytochemical found in blue pigmented fruit. The harsher the environment, the more potent the protection. These phytochemicals provide Wild Blueberries with antioxidant protection against the stress caused by intense sunlight and rigorous growing conditions. It’s the reason why Wild Blueberries have higher anthocyanin content than ordinary blueberries. So when you eat Wild Blueberries, you gain the extra antioxidant protection of a hardy, wild fruit. It’s the reason Wild Blueberries are the ultimate antioxidant superfruit – 10,000 years in the making. 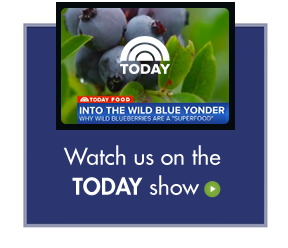 Mary Ann Lila, PhD, Director, Plants for Human Health Institute at North Carolina State University, explained “why wild plants can protect you from cancer,” on a recent edition of the Dr. Oz Show. Read what Dr. Lila, a member of the Bar Harbor Group of research scientists, says about Wild Blueberries and cancer protection here.